Tim Burton's "The Nightmare Before Christmas" has been a favorite of our family for a long time (you can frequently find my youngest wearing his black hoodie with Jack Skellington's face on it that we purchased at Disneyland). I'm very excited to announce "The Nightmare Before Christmas" will be returning for a special engagement this Halloween season at the El Capitan Theater in Hollywood and it will be in 4-D! It will be an experience like none other! The film will be in 3-D but in addition there will be wind, snow, fog and more. It's an absolute must for all Jack Skellington fans! 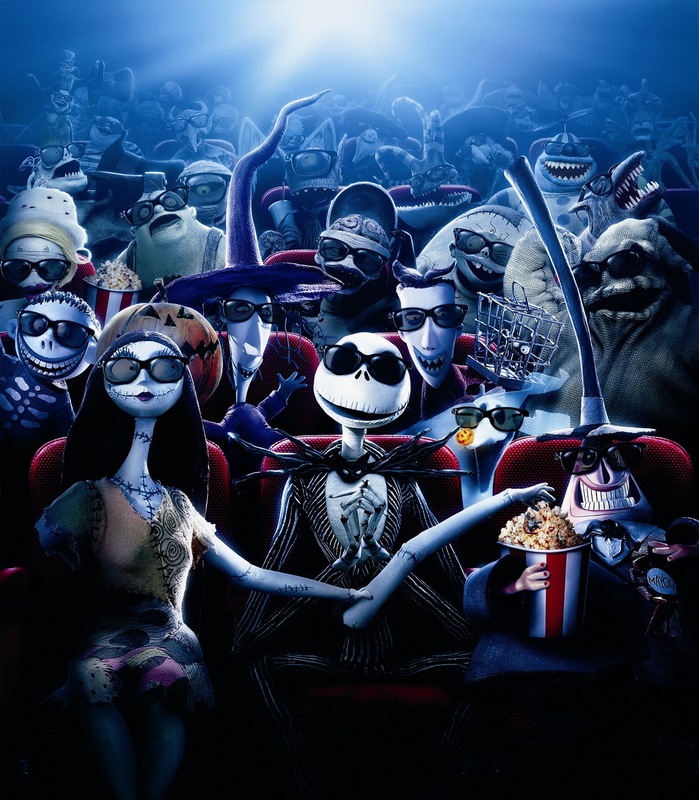 "The Nightmare Before Christmas" will be showing October 21st through October 31, 2010 with special opening night festivities including special ghoulish frights and delights and will be hosted by Disney Producer Don Hahn (Beauty and the Beast, The Lion King and Who Framed Roger Rabbit). The film screens daily at 10:00 am, 12:15 pm, 2:30 pm, 4:45 pm, 7:00 pm, and 9:15 pm. Special late night Halloween weekend shows will be given at 11:15 pm Fridays and Saturdays only. Tickets can be purchased at the El Capitan box office (6838 Hollywood Blvd. ), online at www.elcapitantickets.com, or by calling 1-800-DISNEY6. Special group rate tickets for parties of 20 or more are available by calling 1-818-845-3110. Man, you all get to do the best stuff. I have got to get out of Illinois. Obviously I need to purchase more lottery tickets or something. Okay...this is a must-see. I've been wanting to go see one of these showings at the El Capitan for awhile now. This might just get me there! Thanks for the info!